Liczba stron: 211 Jest to ujednolicona liczba stron, która ułatwi Ci porównanie długości książek. Każda strona Legimi to 200 słów. 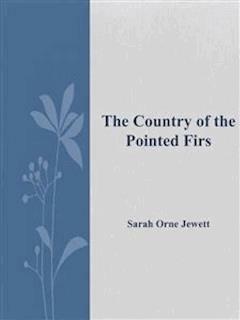 The Country of the Pointed Firs is an 1896 short story sequence by Sarah Orne Jewett which is considered by some literary critics to be her finest work. Henry James described it as her "beautiful little quantum of achievement." Because it is loosely structured, many critics view the book not as a novel, but a series of sketches; however, its structure is unified through both setting and theme. The novel can be read as a study of the effects of isolation and hardship experienced by the inhabitants of the decaying fishing villages along the Maine coast. Sarah Orne Jewett, who wrote the book when she was 47, was largely responsible for popularizing the regionalism genre with her sketches of the fictional Maine fishing village of Dunnet Landing. Like Jewett, the narrator is a woman, a writer, unattached, genteel in demeanor, intermittently feisty and zealously protective of her time to write. The narrator removes herself from her landlady's company and writes in an empty schoolhouse, but she also continues to spend a great deal of time with Mrs. Todd, befriending her hostess and her hostess's family and friends. LATER, THERE WAS only one fault to find with this choice of a summer lodging-place, and that was its complete lack of seclusion. At first the tiny house of Mrs. Almira Todd, which stood with its end to the street, appeared to be retired and sheltered enough from the busy world, behind its bushy bit of a green garden, in which all the blooming things, two or three gay hollyhocks and some London-pride, were pushed back against the gray-shingled wall. It was a queer little garden and puzzling to a stranger, the few flowers being put at a disadvantage by so much greenery; but the discovery was soon made that Mrs. Todd was an ardent lover of herbs, both wild and tame, and the sea-breezes blew into the low end-window of the house laden with not only sweet-brier and sweet-mary, but balm and sage and borage and mint, wormwood and southernwood. If Mrs. Todd had occasion to step into the far corner of her herb plot, she trod heavily upon thyme, and made its fragrant presence known with all the rest. Being a very large person, her full skirts brushed and bent almost every slender stalk that her feet missed. You could always tell when she was stepping about there, even when you were half awake in the morning, and learned to know, in the course of a few weeks’ experience, in exactly which corner of the garden she might be. At one side of this herb plot were other growths of a rustic pharmacopoeia, great treasures and rarities among the commoner herbs. There were some strange and pungent odors that roused a dim sense and remembrance of something in the forgotten past. Some of these might once have belonged to sacred and mystic rites, and have had some occult knowledge handed with them down the centuries; but now they pertained only to humble compounds brewed at intervals with molasses or vinegar or spirits in a small caldron on Mrs. Todd’s kitchen stove. They were dispensed to suffering neighbors, who usually came at night as if by stealth, bringing their own ancient-looking vials to be filled. One nostrum was called the Indian remedy, and its price was but fifteen cents; the whispered directions could be heard as customers passed the windows. With most remedies the purchaser was allowed to depart unadmonished from the kitchen, Mrs. Todd being a wise saver of steps; but with certain vials she gave cautions, standing in the doorway, and there were other doses which had to be accompanied on their healing way as far as the gate, while she muttered long chapters of directions, and kept up an air of secrecy and importance to the last. It may not have been only the common aids of humanity with which she tried to cope; it seemed sometimes as if love and hate and jealousy and adverse winds at sea might also find their proper remedies among the curious wild-looking plants in Mrs. Todd’s garden. To arrive at this quietest of seaside villages late in June, when the busy herb-gathering season was just beginning, was also to arrive in the early prime of Mrs. Todd’s activity in the brewing of old-fashioned spruce beer. This cooling and refreshing drink had been brought to wonderful perfection through a long series of experiments; it had won immense local fame, and the supplies for its manufacture were always giving out and having to be replenished. For various reasons, the seclusion and uninterrupted days which had been looked forward to proved to be very rare in this otherwise delightful corner of the world. My hostess and I had made our shrewd business agreement on the basis of a simple cold luncheon at noon, and liberal restitution in the matter of hot suppers, to provide for which the lodger might sometimes be seen hurrying down the road, late in the day, with cunner line in hand. It was soon found that this arrangement made large allowance for Mrs. Todd’s slow herb-gathering progresses through woods and pastures. The spruce-beer customers were pretty steady in hot weather, and there were many demands for different soothing syrups and elixirs with which the unwise curiosity of my early residence had made me acquainted. Knowing Mrs. Todd to be a widow, who had little beside this slender business and the income from one hungry lodger to maintain her, one’s energies and even interest were quickly bestowed, until it became a matter of course that she should go afield every pleasant day, and that the lodger should answer all peremptory knocks at the side door. In taking an occasional wisdom-giving stroll in Mrs. Todd’s company, and in acting as business partner during her frequent absences, I found the July days fly fast, and it was not until I felt myself confronted with too great pride and pleasure in the display, one night, of two dollars and twenty-seven cents which I had taken in during the day, that I remembered a long piece of writing, sadly belated now, which I was bound to do. To have been patted kindly on the shoulder and called “darlin’,” to have been offered a surprise of early mushrooms for supper, to have had all the glory of making two dollars and twenty-seven cents in a single day, and then to renounce it all and withdraw from these pleasant successes, needed much resolution. Literary employments are so vexed with uncertainties at best, and it was not until the voice of conscience sounded louder in my ears than the sea on the nearest pebble beach that I said unkind words of withdrawal to Mrs. Todd. She only became more wistfully affectionate than ever in her expressions, and looked as disappointed as I expected when I frankly told her that I could no longer enjoy the pleasure of what we called “seein’ folks.” I felt that I was cruel to a whole neighborhood in curtailing her liberty in this most important season for harvesting the different wild herbs that were so much counted upon to ease their winter ails. FOR SOME DAYS after this, Mrs. Todd’s customers came and went past my windows, and, haying-time being nearly over, strangers began to arrive from the inland country, such was her widespread reputation. Sometimes I saw a pale young creature like a white windflower left over into midsummer, upon whose face consumption had set its bright and wistful mark; but oftener two stout, hard-worked women from the farms came together, and detailed their symptoms to Mrs. Todd in loud and cheerful voices, combining the satisfactions of a friendly gossip with the medical opportunity. They seemed to give much from their own store of therapeutic learning. I became aware of the school in which my landlady had strengthened her natural gift; but hers was always the governing mind, and the final command, “Take of hy’sop one handful” (or whatever herb it was), was received in respectful silence. One afternoon, when I had listened,—it was impossible not to listen, with cottonless ears,—and then laughed and listened again, with an idle pen in my hand, during a particularly spirited and personal conversation, I reached for my hat, and, taking blotting-book and all under my arm, I resolutely fled further temptation, and walked out past the fragrant green garden and up the dusty road. The way went straight uphill, and presently I stopped and turned to look back. The tide was in, the wide harbor was surrounded by its dark woods, and the small wooden houses stood as near as they could get to the landing. Mrs. Todd’s was the last house on the way inland. The gray ledges of the rocky shore were well covered with sod in most places, and the pasture bayberry and wild roses grew thick among them. I could see the higher inland country and the scattered farms. On the brink of the hill stood a little white schoolhouse, much wind-blown and weather-beaten, which was a landmark to seagoing folk; from its door there was a most beautiful view of sea and shore. The summer vacation now prevailed, and after finding the door unfastened, and taking a long look through one of the seaward windows, and reflecting afterward for some time in a shady place near by among the bayberry bushes, I returned to the chief place of business in the village, and, to the amusement of two of the selectmen, brothers and autocrats of Dunnet Landing, I hired the schoolhouse for the rest of the vacation for fifty cents a week. Selfish as it may appear, the retired situation seemed to possess great advantages, and I spent many days there quite undisturbed, with the sea-breeze blowing through the small, high windows and swaying the heavy outside shutters to and fro. I hung my hat and luncheon-basket on an entry nail as if I were a small scholar, but I sat at the teacher’s desk as if I were that great authority, with all the timid empty benches in rows before me. Now and then an idle sheep came and stood for a long time looking in at the door. At sundown I went back, feeling most businesslike, down toward the village again, and usually met the flavor, not of the herb garden, but of Mrs. Todd’s hot supper, halfway up the hill. On the nights when there were evening meetings or other public exercises that demanded her presence we had tea very early, and I was welcomed back as if from a long absence. ONE DAY I reached the schoolhouse very late, owing to attendance upon the funeral of an acquaintance and neighbor, with whose sad decline in health I had been familiar, and whose last days both the doctor and Mrs. Todd had tried in vain to ease. The services had taken place at one o’clock, and now, at quarter past two, I stood at the schoolhouse window, looking down at the procession as it went along the lower road close to the shore. It was a walking funeral, and even at that distance I could recognize most of the mourners as they went their solemn way. Mrs. Begg had been very much respected, and there was a large company of friends following to her grave. She had been brought up on one of the neighboring farms, and each of the few times that I had seen her she professed great dissatisfaction with town life. The people lived too close together for her liking, at the Landing, and she could not get used to the constant sound of the sea. She had lived to lament three seafaring husbands, and her house was decorated with West Indian curiosities, specimens of conch shells and fine coral which they had brought home from their voyages in lumber-laden ships. Mrs. Todd had told me all our neighbor’s history. They had been girls together, and, to use her own phrase, had “both seen trouble till they knew the best and worst on ’t.” I could see the sorrowful, large figure of Mrs. Todd as I stood at the window. She made a break in the procession by walking slowly and keeping the after-part of it back. She held a handkerchief to her eyes, and I knew, with a pang of sympathy, that hers was not affected grief. Beside her, after much difficulty, I recognized the one strange and unrelated person in all the company, an old man who had always been mysterious to me. I could see his thin, bending figure. He wore a narrow, long-tailed coat and walked with a stick, and had the same “cant to leeward” as the wind-bent trees on the height above. This was Captain Littlepage, whom I had seen only once or twice before, sitting pale and old behind a closed window; never out of doors until now. Mrs. Todd always shook her head gravely when I asked a question, and said that he wasn’t what he had been once, and seemed to class him with her other secrets. He might have belonged with a simple which grew in a certain slug-haunted corner of the garden, whose use she could never be betrayed into telling me, though I saw her cutting the tops by moonlight once, as if it were a charm, and not a medicine, like the great fading bloodroot leaves. I could see that she was trying to keep pace with the old captain’s lighter steps. He looked like an aged grasshopper of some strange human variety. Behind this pair was a short, impatient, little person, who kept the captain’s house, and gave it what Mrs. Todd and others believed to be no proper sort of care. She was usually called “that Mari’ Harris” in subdued conversation between intimates, but they treated her with anxious civility when they met her face to face. An hour later I was busy at my work. Now and then a bee blundered in and took me for an enemy; but there was a useful stick upon the teacher’s desk, and I rapped to call the bees to order as if they were unruly scholars, or waved them away from their riots over the ink, which I had bought at the Landing store, and discovered to be scented with bergamot, as if to refresh the labors of anxious scribes. One anxious scribe felt very dull that day; a sheep-bell tinkled near by, and called her wandering wits after it. The sentences failed to catch these lovely summer cadences. For the first time I began to wish for a companion and for news from the outer world, which had been, half unconsciously, forgotten. Watching the funeral gave one a sort of pain. I began to wonder if I ought not to have walked with the rest, instead of hurrying away at the end of the services. Perhaps the Sunday gown I had put on for the occasion was making this disastrous change of feeling, but I had now made myself and my friends remember that I did not really belong to Dunnet Landing. IT WAS A long time after this; an hour was very long in that coast town where nothing stole away the shortest minute. I had lost myself completely in work, when I heard footsteps outside. There was a steep footpath between the upper and the lower road, which I climbed to shorten the way, as the children had taught me, but I believed that Mrs. Todd would find it inaccessible, unless she had occasion to seek me in great haste. I wrote on, feeling like a besieged miser of time, while the footsteps came nearer, and the sheep-bell tinkled away in haste as if someone had shaken a stick in its wearer’s face. Then I looked, and saw Captain Littlepage passing the nearest window; the next moment he tapped politely at the door. “Come in, sir,” I said, rising to meet him; and he entered, bowing with much courtesy. I stepped down from the desk and offered him a chair by the window, where he seated himself at once, being sadly spent by his climb. I returned to my fixed seat behind the teacher’s desk, which gave him the lower place of a scholar. “You ought to have the place of honor, Captain Littlepage,” I said. I now remembered that Mrs. Todd had told me one day that Captain Littlepage had overset his mind with too much reading; she had also made dark reference to his having “spells” of some unexplainable nature. I could not help wondering what errand had brought him out in search of me. There was something quite charming in his appearance: it was a face thin and delicate with refinement, but worn into appealing lines, as if he had suffered from loneliness and misapprehension. He looked, with his careful precision of dress, as if he were the object of cherishing care on the part of elderly unmarried sisters, but I knew Mari’ Harris to be a very common-place, inelegant person, who would have no such standards; it was plain that the captain was his own attentive valet. He sat looking at me expectantly. I could not help thinking that, with his queer head and length of thinness, he was made to hop along the road of life rather than to walk. The captain was very grave indeed, and I bade my inward spirit keep close to discretion. “Poor Mrs. Begg has gone,” I ventured to say. I still wore my Sunday gown by way of showing respect. “I suppose we shall know it all some day,” said I. “You must have left the sea a good many years ago, then, Captain Littlepage?” I said.